I'd love a browser plugin, so I can click a number on a webpage on the PC, perhaps tel:-links, and make the phone dial it. I have seen this request before, and the same irrellevant answer. You don't seem to understand the issue. If I click on a tel:1-555-2020 link in the browser on the pc, I want airdroid the desktop app) to process this data and make my phone dial the number. 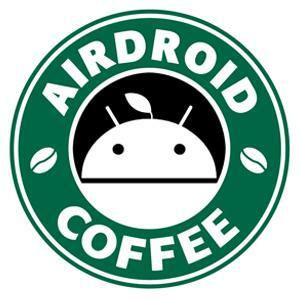 Sorry, AirDroid now doesn't support this. Add tel://number will lead you to skype when you click it. You can also add a contact shortcut which allows you to call that contact. In the browser I can set up which external programs are to handle some protocols. Just like mailto: can be sent to different mail programs, tel: can be sent to skype, or my pc-desktop voip phone program, it can be sent to the airdroid desktop application. Remember, I'm not talking about airdroid running in a browser, I'm talking about the desktop app. Got it. Sorry that I misunderstood you. Can we order this future from you? or smt. We need to make calls using only one click on the web page in pc. We also really really need this. You already have a chrome extension - work it into that! Would be such a nifty extension and it doesn't seem that hard to do.